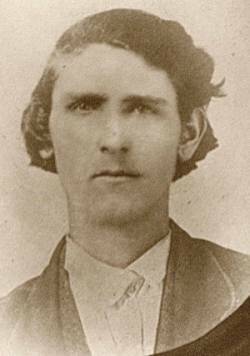 His father, Pleasant, age 25, and mother, Armilda Miller Tackitt, 22, were among 120 California-bound emigrants killed Sept. 11, 1857, during the Mountain Meadows Massacre. William and his 4-year-old brother, Emberson, were among the approximately 18 child survivors who were spared by Mormon militiamen because they were too young to tell the tale. On orders from Latter-day Saint leaders in the Cedar City area, the militia exterminated everyone else in the unarmed wagon train party after promising them safe passage if they would surrender their weapons. After 150 years, William's great-granddaughter, Milene Rawlinson, finally came to see the place that remains large in family memory. A retired teacher from the San Francisco Bay area, she remembers traveling through the terrain north of St. George as a child, but her father couldn't find any monument or memorial to the victims. In her search, Rawlinson came upon Arkansas census records from 1860, listing both William and Emberson — by then ages 5 and 8, respectively — as survivors of the massacre. The two, along with 15 other child survivors, were returned to family members in Arkansas by federal authorities in 1859. They were raised by their maternal grandparents. Emberson Tackitt was old enough to remember some of what occurred, Rawlinson said, and actually testified against John D. Lee, the only man ever found guilty and executed for the crime. Over time, she's heard a few family stories that came through her great uncle's family. One was his memory of when the "Indians" had him and were threatening to kill him, but he offered them his pants and his boots if they would spare his life. "He was surprised when they went down to the river and washed off the war paint, and he discovered they were white men," she said. Through e-mail contact with one of Emberson's descendants, she has also learned that the boy "remembered seeing people wearing his mother's clothing and using family items" that had apparently been taken following the massacre. While many of the descendants seem to have come to terms with what took place, others "are incredibly angry still," Rawlinson said, noting conversations she has had with others who are in southern Utah this weekend for a variety of memorial events. The largest events have been sponsored by the Mountain Meadows Association, whose mission has been to seek reconciliation and forgiveness. Yet some members of that group, as well as two others comprised mostly of victims' descendants, say they remain troubled "because there has been no specific apology" from leaders of The Church of Jesus Christ of Latter-day Saints, despite their creation of monuments and memorials to the victims, said Elisa Rawlinson, Milene's daughter. "It was because of actions that were started with the church, and there's been no apology for that," she said. Milene's husband, John, said another sticking point is that "the Mormon Church is the owner of the bones of those who died." In studies for a Ph.D. in religious history, he said the situation parallels that of Native Americans who are now questioning why white men who invaded their territory can lay claim to the bones of their ancestors. The Rawlinsons said they would like to see federal control of Mountain Meadows to help assuage the feelings. Paul Fancher, a descendant of one of the victims and an MMA member, said he would like to see the LDS Church retain control of the site because he believes it will be well-preserved. But that doesn't mean he feels reconciled about what happened. "There's two things that rankle the Fanchers: one, that the massacre occurred; and two, that no one has ever stepped up and said, 'We did it, and we're sorry.' For 100 years, it was covered up the best it could be," he said. Fancher doesn't claim to be a researcher or historian, but he's read all the books available about the massacre and compiled a thick volume of family history. "The truth will set you free," he said, quoting historian Juanita Brooks, whose work on Mountain Meadows several decades ago helped set the stage for contemporary examinations of the event. He said he believes true reconciliation will only come with time and a direct apology from top church leaders. "I think if they would step up today and say, 'Look, we did everything everybody says except Brigham Young wasn't in on it,' I think in 10 to 25 years, there would be a new generation and everyone would have forgotten about it."